Home > DISTRO 7" > CASUAL BURN "Tomorrow Problem" 7"
Emerging from the depths of the Southeast, New Orleans’ Casual Burn follows up their 2016 earthquake of an eight-song tape with their equally powerful, debut EP Tomorrow Problem. 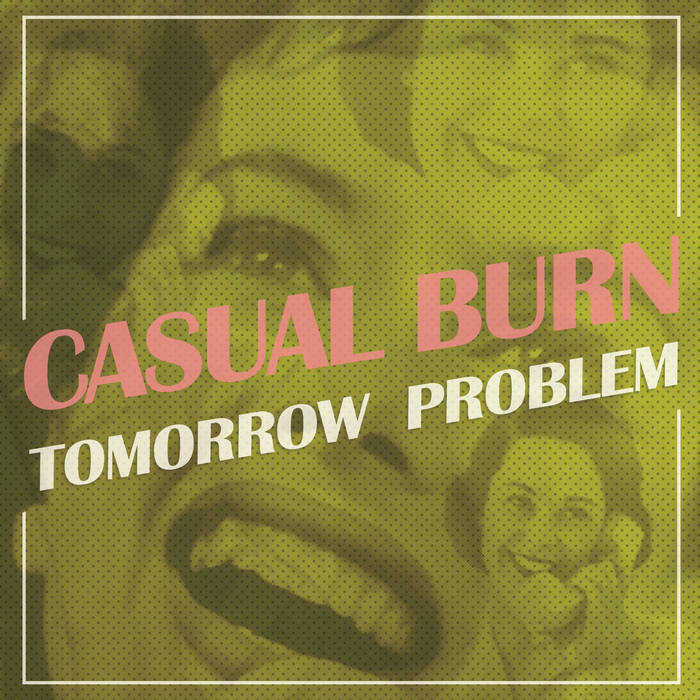 On this record, Casual Burn delivers three songs of pummeling, abrasive, yet melodic punk rock that call to mind bands like SIOUXSIE AND THE BANSHEES, THE BAGS, and even a stone-y, Black Sabbath-obsessed, late eighties BLACK FLAG. Those comparisons might seem disparate and jumbled. But, as Casual Burn shows on Tomorrow Problem, they are a band capable of genre-bending, mixing and matching the sounds of Surf, Goth, and even No-Wave. What emerges is a punk rock casserole of sorts. Sure to make your belly ache and your eyes roll back in your skull. (Keith Riley) Slugsalt Records, edition of 400.